The Century plate is an artistic plate designed to be strong and agile, a perfect plate for beginners to advanced skaters that are accustom to a standard 10 degree double action skate. 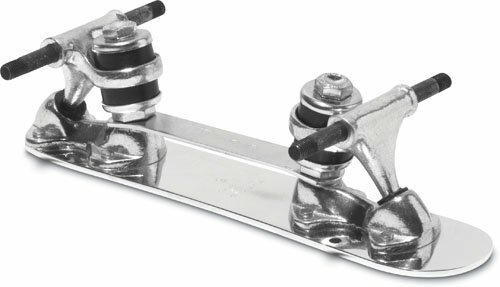 The 7075 aluminum no toe stop plate, cast trucks and hangers make this plate strong and affordable. . Available with no toe stop for those skaters that prefer it. Made in the USA and sold in pairs.